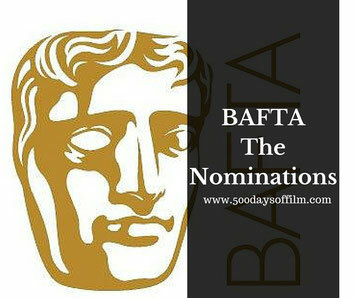 The nominations for the 2016 EE British Academy Film Awards (BAFTA) were announced this morning. Steven Spielberg's Bridge Of Spies and Todd Haynes' Carol have nine nominations each. The Revenant has been nominated in eight categories. Meanwhile, Mad May: Fury Road has seven nominations, Brooklyn and The Martian both have six, The Big Short, The Danish Girl and Ex Machina all have five nominations. Star Wars: The Force Awakens has four nominations. The BAFTA Awards take place on Sunday 14th February - shortly before the 2016 Oscars, which are to be held on Sunday 28 February. Oscar nominations will be announced on 14 January.